This conference consists in experience-sharing sessions between key stakeholders in the European and Chinese water market, with a focus on Industrial Water. 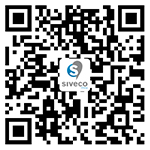 Siveco China's Vice President Paul Wang will present on the theme of "Smart O&M to address water quality and compliance issues: case studies from the Chinese water market". Under this theme, Paul will share practical experience applying technological solutions to help Chinese water enterprises to optimize production and maintenance inspections. The China Europe Water Platform (CEWP) Business and Innovation Program will during 2019-2021 focus on selected market segments for water technologies. The aim is to contribute to creation of a well-functioning market, to support building of Chinese-European Innovation-oriented partnerships and to facilitate the entry for European Companies to the Chinese Market. Paul Wang graduated from Wuhan University, majoring in computational mathematics and taught at the Department of Systems Engineering and Mathematics at the National Defense University of Science and Technology. In the late 90s, he entered the field of energy informatization, serving as Vice President of a Swedish industrial software company and later as Vice President of Siveco China. Paul took part in the design and implementation of Smart Water solutions for operation and asset management in several water enterprises, including Capital Water, Sino French Water, Zhongshan Water, etc.